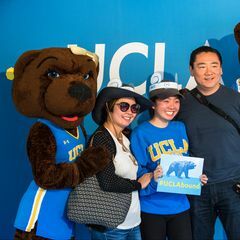 The UCLA baseball team welcomed more than 150 veterans to Jackie Robinson Stadium on April 10 for a free barbecue and batting practice. 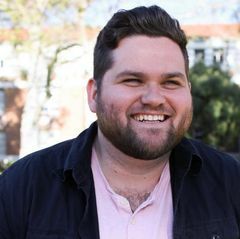 As part of the team’s annual Jackie Robinson Fantasy Camp for Veterans, those in attendance also got to watch the Bruins baseball team practice and chat with players and head coach John Savage. 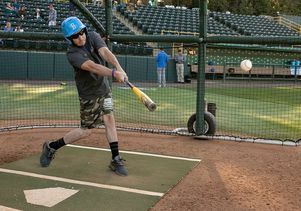 A veteran takes batting practice during the 2019 Jackie Robinson Fantasy Camp for Veterans. 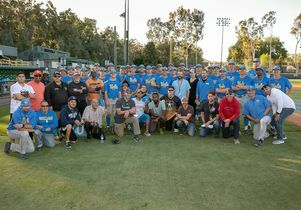 UCLA baseball team and veterans at the 2019 Jackie Robinson Fantasy Baseball Camp. 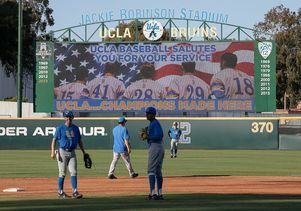 The scoreboard at Jackie Robinson Stadium salutes veterans.